The kind of light produced by toothbrush sanitizers is ultraviolet light in the C band (UV-C), which lies between 100 and 280 nanometers. UV-C has proved effective in destroying bacteria, viruses, yeast, molds, and algae. Unlike most liquid disinfectants (which would be dangerous to use, as they are harmful when ingested), ultraviolet C rays do not actually kill the germs. The mechanism of action at work here is called inactivation. What that means is that the ultraviolet rays reach the heart of the organism (the DNA), where they cause immediate disruption of the cell’s genetic information. This action interferes with the cell’s ability to reproduce. A cell that cannot reproduce is unable to multiply within a host, therefore is rendered harmless, as it can no longer cause infection or sickness. I use a Sonicare toothbrush (the UV-C) that has a UV light built into its holder. This makes it simple to disinfect the toothbrush head after every use, and it gives me added peace of mind that I’m not reintroducing potentially harmful bacteria into my mouth every time I brush. Dr. Nugent maintains a private dental practice in Pasadena, Texas. There he focuses of several areas of dentistry. First, Dr. Nugent has a great affinity to Cosmetic Dentistry. Creating beautiful cosmetic smiles with teeth whitening (teeth bleaching) or with porcelain veneers can change lives. Secondly, General Dentistry is dentistry that fixes common problems of patients from children, to adults and elderly patients. Next, Dental Implant Dentistry has revolutionized dentistry. Dental implants allow Dr. Nugent to replace missing teeth in such a way that even the patient cannot tell they have a dental implant. Dental implants are permanent solutions to missing teeth. Dr. Nugent can also utilize dental implants to create dental implant dentures. Lastly, Dr. Nugent enjoys Sedation Dentistry. Dr. Nugent acknowledges and understands that dental anxiety and fear of the dentist is real. Dr. Nugent customizes dental sedation for each patient. The sedation can range from Nitrous Oxide (Laughing Gas) up to Oral Sedative Medications. 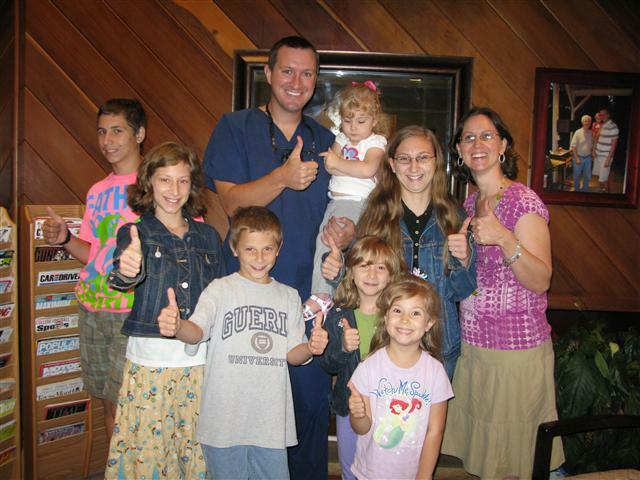 Dr. Nugent has been honored by winning the BEST PASADENA TEXAS DENTIST 2010 and BEST PASADENA TEXAS DENTIST 2011 awards from the Pasadena Citizen newspaper.